With summer in full swing, it&apos;s time to look for fun activities to do in the gorgeous weather. Along with the fun of tubing down the river, enjoying the Express games at Carson Park and the Sounds Like Summer Concert Series, there are many events in Eau Claire that are giving back to the community. Why not have some fun while supporting a great cause? Once again the Royal Credit Union Foundation is putting on a great day for runners, walkers and people who simply want to support great local charities. 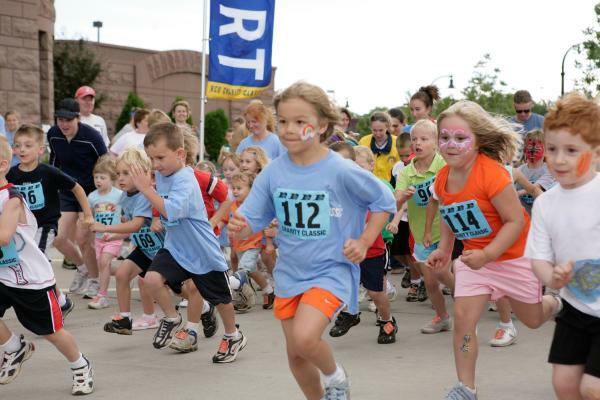 On June 23rd, Rock the Riverfront will take place and there will be a 10K run/walk, 2-mile run/walk, ½ mile children&apos;s race and ¼ mile children&apos;s race. If spectating or just outright giving to charity is more up your alley, then register for the No-K. Just pay the registration fee and you get a free t-shirt, meal ticket and a charity vote. All registered participants get to vote for one of three charities: Whitehall Public Library, The King&apos;s Closet and Literacy-Chippewa Valley. All charities will receive proceeds from the event, but the charity with the most votes will get $15,000. There will be live music, food trucks and a lot of other fun activities for the whole family. On Half Moon Lake at the beginning of August, there&apos;s another event giving back. The Half Moon Dragon Boat Festival is coming back for the fourth year because of the past success. Participants paddle across scenic Half Moon Lake and raise money for several great causes that help people with cancer, such as Hope in the Valley, Joshua&apos;s Camp, the American Cancer Society, Albert J. and Judith A. Dunlap Caner Center at Mayo Clinic Health System in Eau Claire, the Wig Bank and Mayo Clinic&apos;s Hospice Services. Dragon Boat Racing dates back to ancient China and has gained popularity around the world. For this event, teams consist of 20 paddlers, a drummer and a steer person. Get a team, register and have fun while supporting some great causes! May the best boat win. 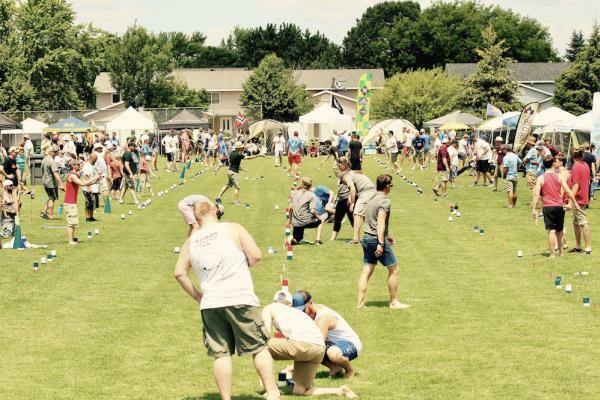 One of the fastest growing sports in Eau Claire is kubb. The great thing about it is that it can be played almost anywhere with a flat surface. The lawn game&apos;s object is to knock over wooden blocks by throwing wooden batons at them. It&apos;s kind of a hybrid of horseshoes and bowling. The U.S. National Kubb Championship takes place right here at the Eau Claire Soccer Park. The championship will serve as a fundraiser for We Help War Victims and Girls on the Run of the Chippewa Valley. We Help War Victims, among other things, helps reconnect refugees reconnect with their families and helps refugees combat loneliness and depression. Girls on the Run of the Chippewa Valley teaches girls in grades 3-5 life skills through dynamic, interactive lessons and running games. Golf is one of many great outdoor activities you can enjoy outside in the summer months. On July 23rd, you can golf and raise money for Blugold Beginnings. This event will take place at the Eau Claire Golf & Country Club. Teams of five are recommended, but individuals are also welcome to participate. The Blugold Beginnings Program works to educate and inspire, especially those who are underrepresented, come from low-income families or are first-generation students. The goal is to show them that post-secondary education is important, attainable and available at UW-Eau Claire, as well as other institutions. Registration ends on July 2nd, so don&apos;t miss out on this chance. Empty Bowls, an event put on by Feed My People Food Bank, is an annual event that brings people together for food and fellowship. Students and local artists donate handcrafted bowls that help Feed My People provide food for thousands of hungry families in west-central Wisconsin. While Empty Bowls isn&apos;t until March 7th, 2019, you can come out to one of the many bowl painting events that prepare bowls for the event. On July 16th from 6:00 P.M. to 8:30 P.M., come to the Eau Claire Regional Arts Center to decorate bowls for Feed My People&apos;s largest fundraiser. There is no cost to participate, but a $5 donation is encouraged. Supplies are provided. This summer, there&apos;s a way for everyone to give back. You can do it decorating bowls for Feed My People, joining a team for the Dragon Boat Festival, running/walking at the RCU Rock the Riverfront event, golfing to benefit Blugold Beginnings or raise money for We Help War Victims and Girls on the Run of the Chippewa Valley by being part of the National Kubb Championship. 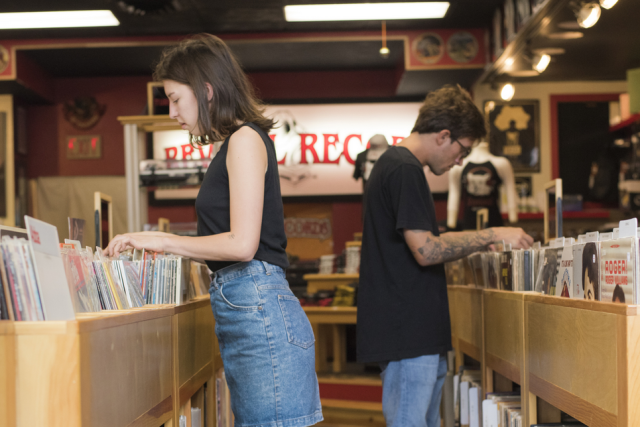 Pick an event or two that interests you and bring a friend. Make your summer count while having the time of your life. While at all of these awesome events, make sure to share your photos with us using #CaptureEC.